Founded in 1869 in Glashütte, Germany, Mühle-Glashutte is internationally renowned for producing high-precision timepieces that balance style with function. The Mühle-Glashutte collection at The Watch Hut features men's luxury watches that appeal to a variety of tastes, with one major theme in common: pinpoint accuracy. If you're considering a super-precise luxury watch in the price range of around £1,000 to £3,500, a Mühle-Glashutte watch could be your perfect timepiece. Find out everything you need to know about this iconic brand and explore some of their most iconic watches. 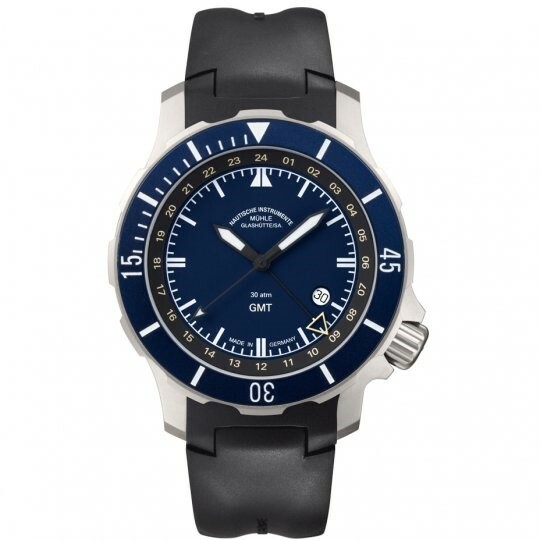 The full name of this prestigious brand is Nautische Instrumente Mühle-Glashütte. It was founded in 1869 as a precision measurement company by Robert Mühle for other watch manufacturers in the area. As the business expanded, so did the brand's output, as they developed speedometers and rev counters for vehicles. Today, the brand creates luxury wristwear and nautical instruments and continues to be run by the Mühle family in Glashütte, Germany. The company specialises in mechanical wristwatches which are assembled by in-house engineers to ensure the highest quality finish. The designs have a focus on easy-to-read faces to promote timekeeping at a glance. That's primarily due to the brand's nautical leanings, as many watches can be worn during water activities, including sailing and water skiing. 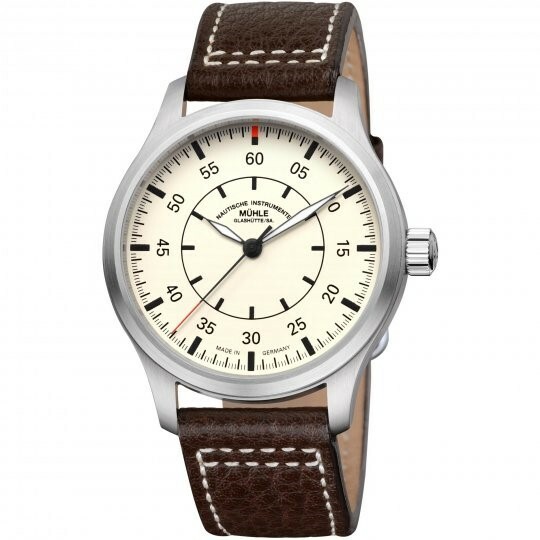 Which Mühle-Glasutte is right for me? Whether you're treating yourself or someone else, there's a Mühle-Glashutte watch to suit every taste. The two overarching styles created by the brand are 'traditional' and 'sporting' designs. These are ideal for those who prefer a vintage spin when accessorising without compromising on functionality. Naturally, as you would expect from a sporting watch, these timepieces also have a masculine and robust quality. For the lower end of the price scale, the Mühle-Glashutte collection at The Watch Hut predominantly features traditionally designed watches, with some simple sporting designs. The Terrasport I Beobachter (£1,180) features a single dial face with precision time markers on a cream background. Coupled with the brown leather strap, this simple stainless steel watch will flatter a casual vintage-inspired outfit, but the slightly edgier colouring on the Terrasport I Observer (£1,205) offers a more modern approach to this design. For a sporting watch at the lower end of the price range, the M29 Classic (£1,330) features a handsome black face with a stationary bezel to enhance time precision. 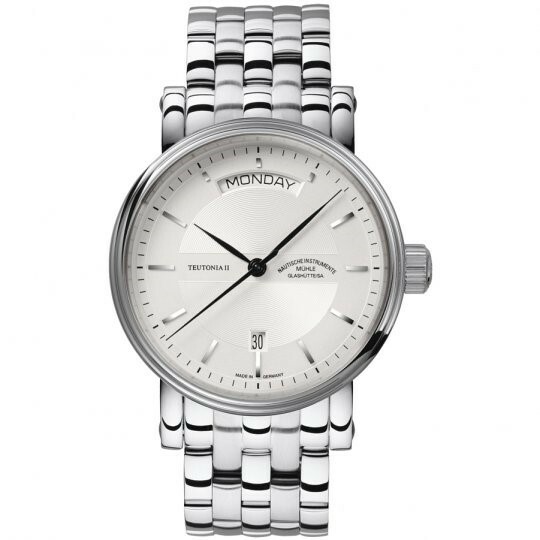 Coupled with the stainless-steel case and strap, this attractive watch will finish off any suit and jacket ensemble with class, whether for a formal occasion or just for business. Towards the middle of the price range, the features and styles are a little more varied, and feature more specialised functions. 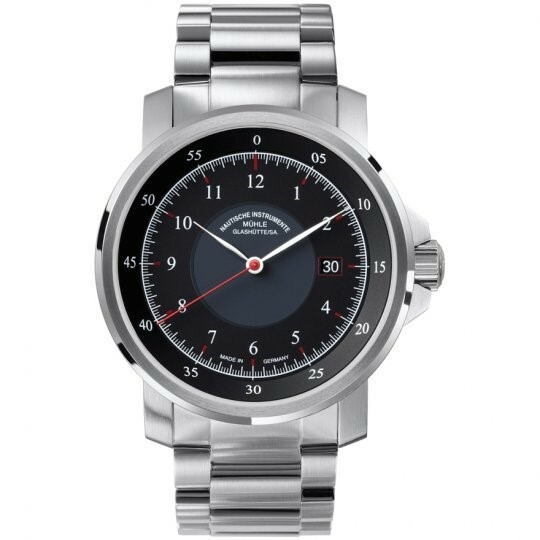 The Teutonia II Tag/Datum (£1,965) has a polished stainless steel bracelet and case, for a formal finish to the design. But it's the face and its date function that set this watch apart from the rest, with an unusual but elegant day and date display. 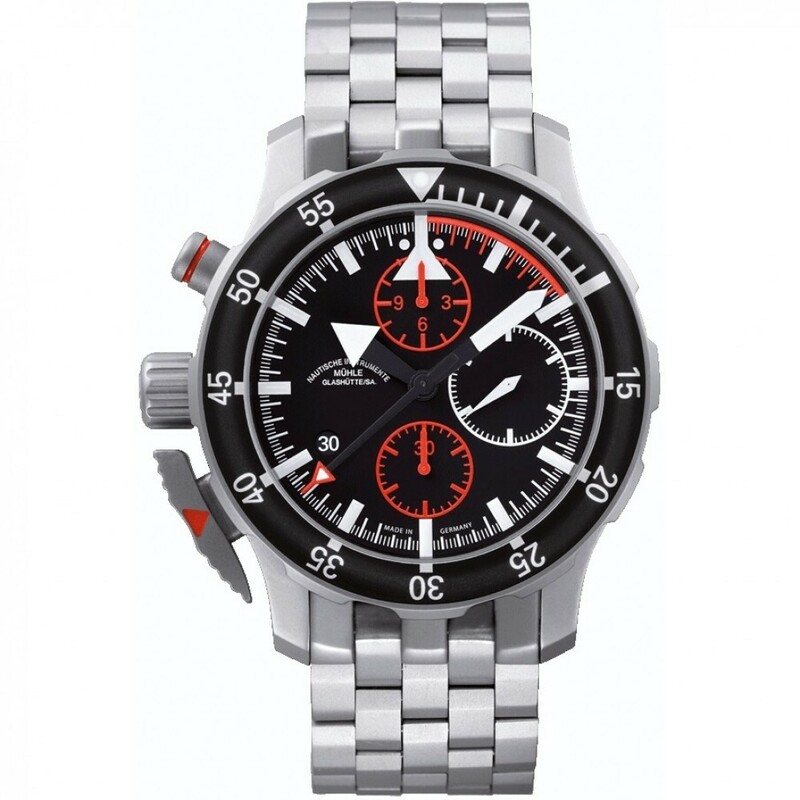 Water resistant to 300 metres, the Seebataillon GMT watch (£2,410) is the perfect swimmer's timepiece. The rubber strap keeps the watch dry in all conditions, while the bezel and luminous hands make the time easy to monitor in all conditions. At the highest end of the price range, the collection goes back to its roots, creating traditionally designed timepieces that can be treasured for generations. The Teutonia II Quadrant (£3,300) is a masterpiece of traditional watch design. 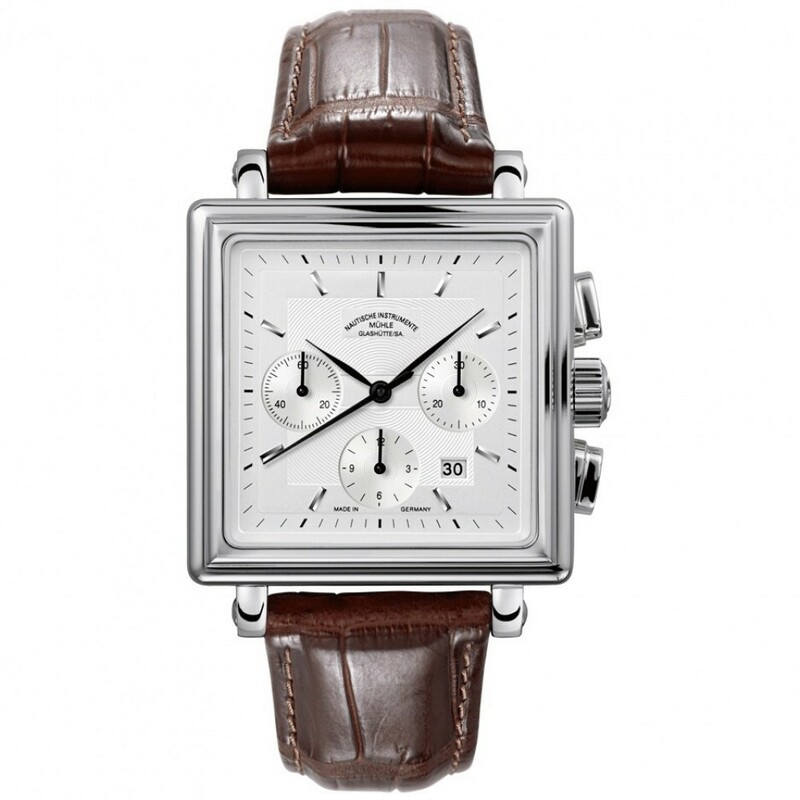 The rich brown leather strap is timelessly elegant, while the square face adds an unexpectedly modern twist on this otherwise ageless timepiece. The three subdials and date display also add a multi-level functionality to the watch, creating an accessory that makes any occasion feel special. At the other end of the design spectrum is the S.A.R. Flieger (£2,990), a sports watch that takes inspiration from the most hard-wearing and masculine watches and gives them a modern spin. The red and black colouring contrasts beautifully, while the bulking bezel and function buttons flatter the metallic bracelet and casing, to create a watch that doesn't mess around in the looks department. The Mühle-Glashutte collection at The Watch Hut contains all of these watches and more, so there's bound to be a luxury watch that you'll love to wear. 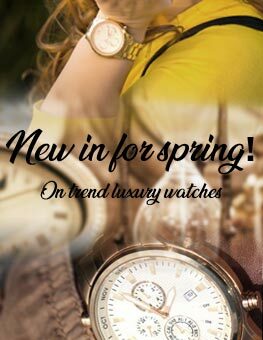 Explore the brand and discover your new favourite timepiece.